Shibuya Koen-dori is a focal point of Japanese hot trends. Fashion, entertainment, and culture of the moment are prevalent in this area. With increasing popularity of Japanese culture around the world, we have many visitors from overseas to this vibrant town that is easily accessible from both Shibuya and Harajuku stations. 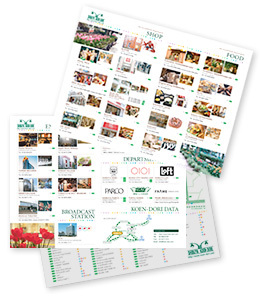 With our wish to have more visitors to this area to experience “what is new” in Shibuya, we have created this web guidebook so that people can access from anywhere in the world. You can also print it out and carry it with you when you visit us. Since we couldn’t possibly show hundreds of all the attractive shops around here, we selected shops that we believe to be especially entertaining for foreign guests. Of course this website should be interesting for Japanese audiences as well. Now, all you need to do is to actually walk along the streets and find your favorite shops. We wish your experience in Shibuya Koen-dori would be a splendid one.